By Alvaris Falcon in Social Media. Updated on December 13, 2017 . Sina Weibo is not a joke. 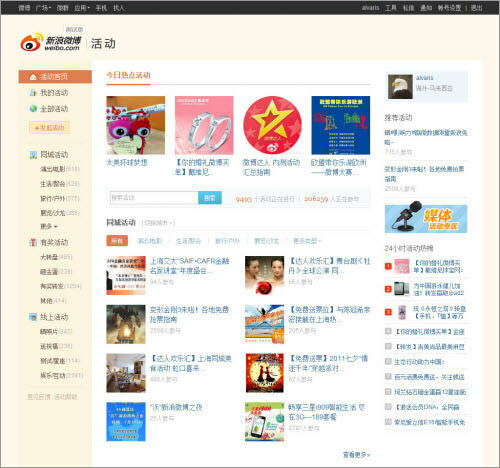 It’s the hottest microblogging service in China now. It consumes 90% market shares of China’s microblogging services, with more than 140 million users in less than 2 years, while Twitter gained 200 million users in less than 5 years. It’s new, it’s hot, and it’s becoming bigger and stronger. I was a dedicated user of Twitter for around 2 years, but I decided to convert to Sina Weibo recently. I’m ultimately satisfied with the Sina Weibo, and in this post I’m going to list out 8 particular things that Twitter can really learn from Sina Weibo, which also serve as possible reasons that why Sina Weibo can gain 140 million users in just less than 2 years of its realms, beating all other China microblogging services. Apparently most successful microblogging services in China, such as Tencent Weibo and Sina Weibo, focus heavily on making user’s social feedback easier in their own services. The reason is pretty easy, we human are social animal, therefore we care about what others think about us, and threaded comment is really a big plus in making the entire feedback tracking process easier. What’s the deal of the threaded comments? Well, on Twitter you have to browse the @mentions to see what people think about your tweets, and those commenting tweets are even mixed with other commenting tweets with different topics. With threaded comment, you can see all users’ comments, properly sorted under your tweet by just one click. After viewing the comment threads of user’s tweet, you can also add your own comment in the box provided in the comment thread. You can add @username to remind the author or any people about the tweet, or click on the ‘Reply’ button located on the right side of the commentator’s tweet to reply the commentator. So you can see how user-friendly is this threaded comment feature, as all comments and replying actions are done in a single section, comment thread. One of the Sina Weibo’s features that most microblogging users praise about is its ability to insert rich media like images, videos, music, emoticons, and even polls without any plugin required. This sparks a really interesting debate between bloggers, do microblogging service really needs these features? The answer is absolutely yes, as if you’re the Sina Weibo’s user, you can probably see the images and videos pretty much existed in most tweets. Surprisingly, the rich media offers far more than what you can imagine. By just looking at the emoticon feature, it has over 400 emoticons for you to use! Youngsters in China have a particular interest on playing emoticons, so this is a cult feature for them. There are also fun images provided by Weibo in image feature, which also pretty much serves like emoticons. You can also upload video from your own computer, or just input the link from video site, and it will show thumbnails about the video, how friendly. The best thing about the video feature is, if you input the link from supported video sites like Youku or Tudou, you will be able to view the video without even leaving the site, a great strategy for Sina Weibo to retain the users in its site! One more notable feature is the ability to start a poll by any user, and it’s not just like the basic poll feature (Question) of the Facebook. You can put in the description, options, decide whether users can choose single or multiple options, and ultimately, set the visibility of the poll and its expiration date, really complete and awesome feature isn’t it? 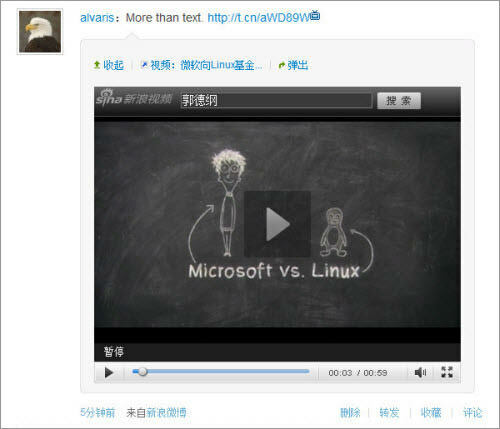 Micro Topics is a relatively new concept in microblogging services, implemented by Weibo. It’s really easy to understand, Weibo takes any tweet that’s related to the certain topic, then create a unique page for all users to view and discuss the particular topic. For instance, one of the hottest topics now is the World Of Warcraft Cataclysm, so a dedicated page is created for WoW gamers to discuss about the game and its newest patch. Micro topics is also very useful in spreading news and knowledge. Want to discuss the most recent Cisco’s issue happened in China? There’s a page for that. Want to know some killer tips to keep fit? There’s a page for that. Want to share your love diary? There’s a page for that! Well if you like the topic, there’s a tweet box with tags added for you to share the topic on your own profile immediately, or you can push the link on the top of the topic’s page to promote the topic to your friends. I must convince that I’m really addicted to this feature, and the idea is simply ingenious. Alright, so what will you do every time you want to check up the hottest trends in Twitter, but those top 10 hot trends are not on your interest list? I encountered this issue very often, but I no longer have the same issue in Weibo, as Weibo has a dedicated page for trends, literally named as Board of Fame. Be the hottest trends of last hour, or today or even this week, Weibo’s Board of Fame is always prepared to tell you what are trends that users really into in the specified time. 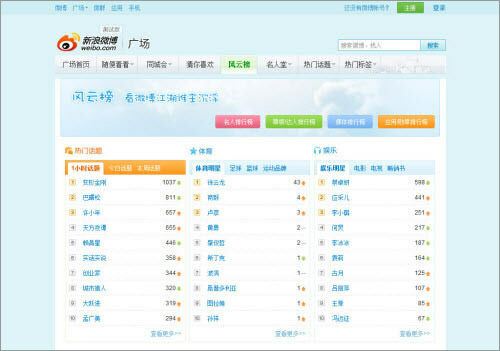 Categorization is king when it comes to sorting overloaded trends, and Weibo scored full marks on this part by categorizing all hottest trends into several categories such as general, sport, entertainment, finance, gaming, traveling, just about everything people might be interested about! In the Board of Fame, you can view the first 10 hottest trends by the category, and you can probably dig into more trends by click on the ‘Check Out More’ link from the respective category. You can then view the remaining 40 hottest trends in the category or, well, if those trends still cannot satisfy you, you can even track back the hottest trends by setting the date located on the right side of the page, fantastic! Verified Account is specifically created for celebrity and famous people, and you will be treated more like celebrity if you registered a verified account of Sina Weibo. The reason? Sina Weibo wants those celebrities shine even more, so again, as you might have expected, they created a dedicated page for highlighting celebrities, literally named as “Hall of Celebrity”. What’s really great about the Hall of Celebrity is its detailed categorization. 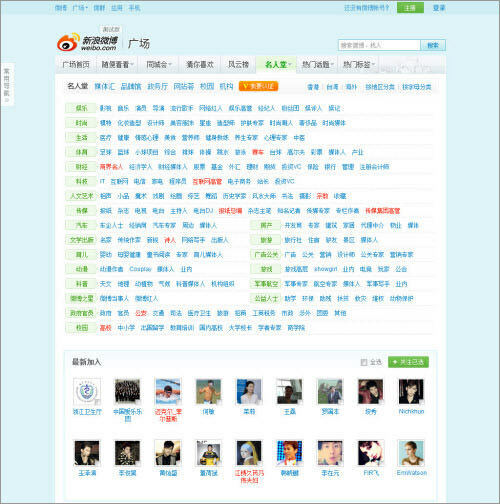 Sina Weibo categorizes celebrities very well into several key categories like entertainment, sport, finance, tech, etc. Then, inside the field like entertainment, there are even more subcategories such as actor, musician, and entertainment executives. Also, newly joined celebrities do not need to worry about their fame will be covered by elite users, as there is also a section which featured celebrities who just joined the world of Sina Weibo. In the page, user can either choose their favorite celebrities to follow, or simply click on ‘Follow All’ button to follow all celebrities in the particular field. I can understand why Weibo treats celebrities so seriously, as the celebrities themselves got tonnes of fans, so retaining them in the Weibo is the key strategy to convert their massive dedicated fans into loyal users. 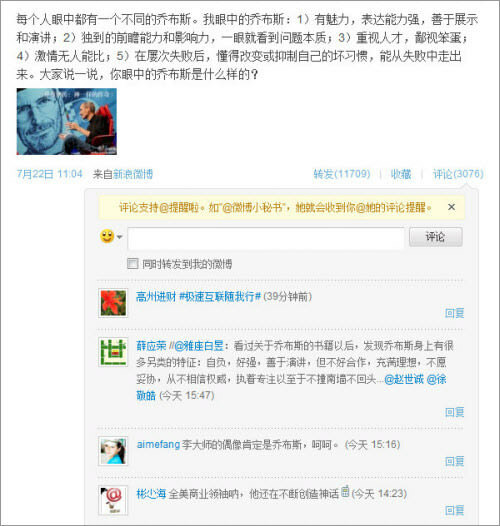 Why is medal reward system existed in Sina Weibo? 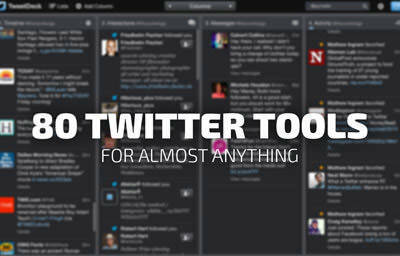 Because it’s fun, and it encourages users to tweet more! Well everyone is a gamer by nature. We love to play game, and we enjoyed earning reward that makes us proud in that particular game society. Sensing the benefits, Sina Weibo has implemented a very interesting medal reward system to let users have fun on earning medals for personal enjoyment or show-off. If you think this medal reward system is just a game, you are underestimating Weibo. 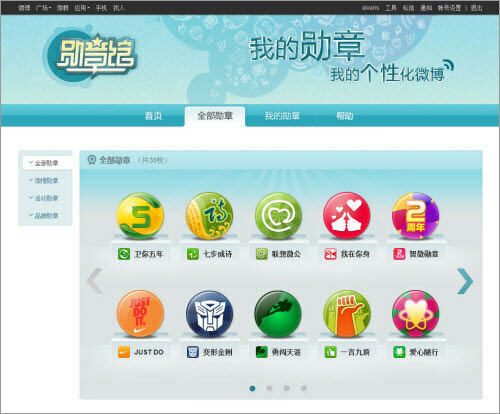 Well the entire system is not just about fun, but also one of the strategic plans in Weibo’s business ecosystem. Brands such as Nike and Transformers actually partnered with Weibo to market their products by offer medals, which mostly require users to perform certain action like retweet about their events. This is also a really neat marketing strategy for the brands as it not only helps to spread the event message, but also allows the logo of the brand to be exposed in users’ profile as a medal. Weibo has even built a page to introduce, promote and remind users about those medals that are associated with certain event or brand. In microblogging services like Sina Weibo and Twitter, every profile is a personal space. Even we’re not going to advertise ourselves, we hope to be different with anybody else. We hope to have, at least some style templates that are not too common in the entire platform, and Sina Weibo solved this question very well by providing over 60 style templates, categorized into 5 groups which are ‘Newest Promotion’, ‘Classic’, ‘Fashion’, ‘School’ and ‘Events’. Of course, if you’re not satisfied with these templates, you can always do it yourself by using the template builder. With the builder, you can define font color, put custom background picture, apply tile background and adjust the picture’s alignment. Pretty much like Twitter’s template builder, so you won’t have problem on customizing your own style template if you’re Twitter-converted user. I believe most of you will ask how about using Themeleon, a service that contains tonnes of quality theme designs for Twitter? Well, I love Themeleon very much, but it’s absolutely good to have more built-in design as it takes more steps to authorize the Themeleon and apply the design to the Twitter, not to mention that Themeleon lacks of good categorization and many people still do not know much about the concept of authorization, even causing some of them worry about their privacy. Finally it’s a fresh concept that Sina Weibo brought to the microblogging service, Weibo Event. Weibo Event is going to revolutionize your concept about microblogging service from a place that collects everyone’s thoughts together, to a place that gets everyone involved and have fun together! Yes, with Weibo Event, you are not just limited to see what other people are tweeting, but also joining events that other users are joining, sparking more tweets and fun! There’re thousands of events categorized into ‘Local Event’, ‘Prized Event’ and ‘Online Event’, with a few grand events featured on the top of the page. Most Weibo Events are sponsored by companies or individuals, so get ready to exchange your hard work with prizes! I personally think this is a great feature that gives people one more reason to stay in the Sina Weibo. In past we can only see what people are tweeting, and may be joining certain discussion, and some people will eventually get bored with this repetitive cycle. With Weibo Event, we gather together to involve in certain events, thus we don’t only win prizes, but also make new friends during the event. 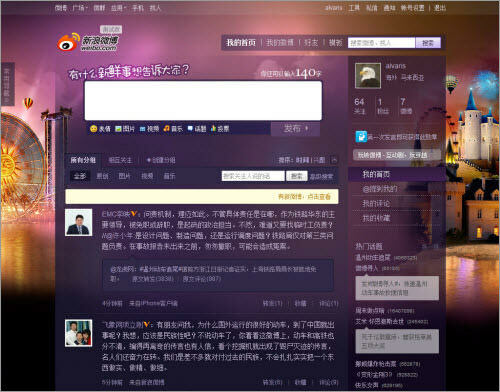 Users can also promote the event to non-users, encouraging them to join the Weibo for their events. So you can probably see that every major feature in the Sina Weibo exists to attract new users, retain elite users, and encourages all users to tweet more and have more fun! But the war has just started. I think the war is pretty hard for Sina Weibo, as Twitter is already a greatly established microblogging service throughout the world, but hey, MySpace was once the social media behemoth that was ultimately taken by Facebook. 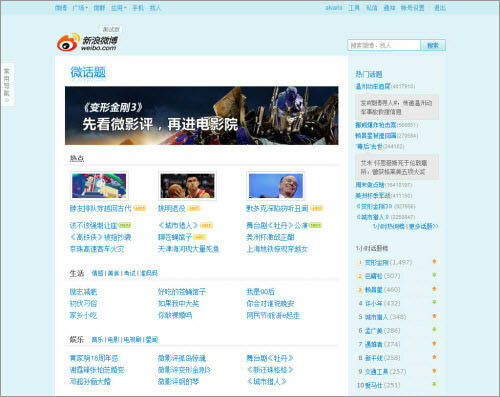 So what do you think about the competition between Twitter and Sina Weibo? Do you think that heavily censored yet feature-rich Sina Weibo will take over the Twitter as the mainstream microblogging service? Or Twitter will ultimately defend its realm with, may be, new feature? Which new feature you will like to see on Twitter? Kindly let us know your thought!